This article first appeared in the Restaurant Daily News on Sunday, May 19, 2002. Denis Gagnon, President of Excel Dryer, Inc., explains the motivation behind his company’s design of an ultra-fast electric hand dryer. Restaurant Daily News: For the benefit of our readers who are not familiar with your product, please tell us how you got involved with the development of a super-fast hand dryer. Denis Gagnon: Converting from the use of paper towels to hand dryers represents a 90% cost savings and is considered an excellent source reduction alternative. This statement would lead you to believe that hand dryers must be a popular choice. However, there’s just one problem – most people don’t like hand dryers. In a Wall Street Journal article on the subject, the reporter acknowledged that “nine out of ten people opt for paper towels when given the choice”. As a manufacturer of hand dryers, we conducted some research to find out why people don’t like hand dryers. The answer was simple…hand dryers take too long to dry your hands, which is why hand dryers are installed in less than 10% of public restrooms. As a businessman, it was clear to me that ‘solving the objection’ could create a tremendous opportunity for growth. Deciding that a fast hand dryer would be very marketable was the easy part, the hard part was developing the product. Start to finish, our Research Team spent three years on this project. 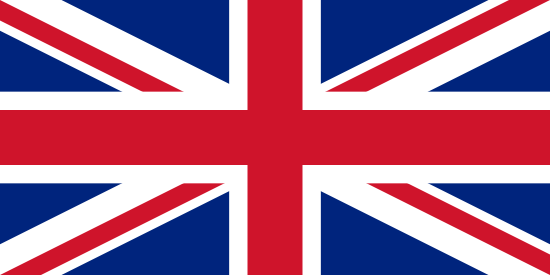 As a matter of fact, two members of our Research Team published a scientific White Paper on the design, development and testing of the XLERATOR® hand dryer. RSD: You claim the XLERATOR is three times faster than conventional units, drying hands in 10 seconds or less. 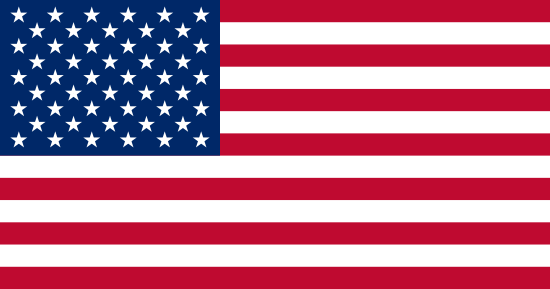 Without revealing too much proprietary information, could you tell us how you accomplished this? DG: There are two patents involved, but if I could describe the new drying system in ‘layman’s terms’, I would say that it delivers a focused, high velocity air stream which blows off excess water in 3 to 4 seconds and evaporates the remaining boundary layer of moisture very rapidly. 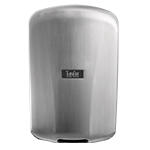 With a conventional hand dryer, it takes over 20 seconds before effective evaporation takes place and 30 to 45 seconds overall to completely dry your hands. 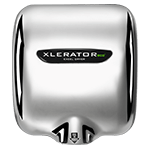 Because XLERATOR draws only 1,500 watts instead of the usual 2,200 to 2,400 watts, we have the added bonus of saying that XLERATOR uses 80% less energy. 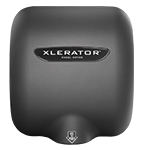 Because of its energy efficiency, XLERATOR is the only hand dryer that is BuildingGreen™ – listed. RSD: About two years ago, the Wall Street Journal favorably previewed the XLERATOR but noted that the dryer was a bit too noisy. How have you addressed this problem in the production model? DG: We had a PROTOTYPE that worked! It could completely dry hands in 10 to10 seconds, which is literally three times faster than a conventional hand dryer. However, there was still a lot of work to do before we could finalize the specification. We reduced the overall size of the dryer and designed a contoured cover that is both attractive and vandal-proof. Under the cover, there was a lot of engineering to the blower housing to absorb sound. Despite a motor that turns at over 20,000 RPM, the decibel level is comparable to other hand dryers. The one remaining difference is that there is sound deflection from a user’s hands because of the very focused air stream. When we field-tested the final production model of XLERATOR, most participants felt that it accentuated the experience and the XLERATOR was more powerful and effective than any other hand dryer they had ever used. RSD: So how have sales been since the XLERATOR’s introduction? DG: People have to try XLERATOR to really understand how well it works. We have now provided all our sales representatives with DEMO units and are trying to attend all the key trade shows, such as NRA. We started shipping XLERATOR last September and sales for the last 3 months are 30% ahead of last year! People really like this product. The best example I can give you is that Disney World just bought some. They’ve known for years that they could save millions of dollars a year converting to hand dryers but chose not to because they know people don’t like using them. That was before XLERATOR! RSD: Finally, though The Learning Channel’s “Inventions We Love to Hate” put in a good word for the XLERATOR, it did bring up a quite valid complaint: the XLERATOR’s lack of a rotating vent could make drying one’s face quite awkward. Is there a face-friendly model in the works? DG: XLERATOR is by far the most effective hand dryer in the marketplace, but is not intended for face drying. Only 5% of users dry their face and we have a full range of dryers that offer a 360 degree rotating nozzle for face and hair drying.